You can always count on an elegant Rosewood Book Frame II - Silkscreen to keep you punctual. A custom desk clock is the perfect way to display your logo for years to come. 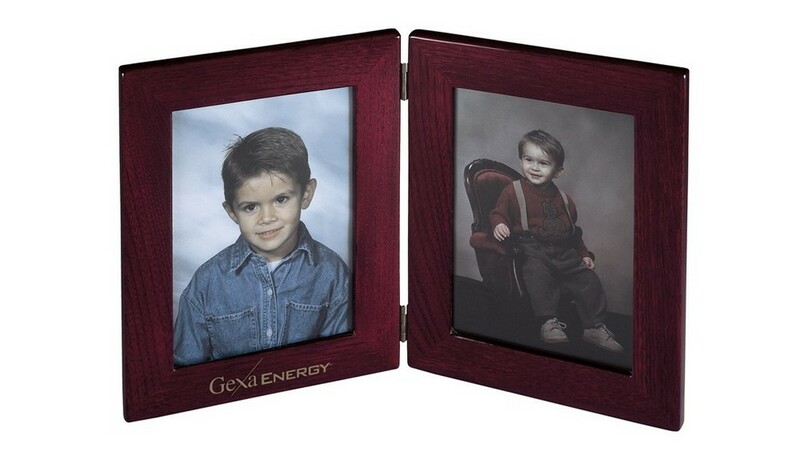 Make your marketing campaigns memorable with a lovable gift: the Rosewood Book Frame. It is a perfect promotional item for special occasions, retail sales, sporting events, corporate advertising, and much more. Display it on a desk or shelf, to catch and hold the onlooker’s attention. This frame is completely finished on the back in high-gloss Rosewood Hall. The frame holds two standard 5" x 7" photographs or plates. It does not come with an engraved plate. Imprint your company’s logo on the frame using silkscreen method, to boost brand value and recognition.